Military Medal, Canadian Volunteer Service Medal + clasp. DATE OF BIRTH: July 24, 1925 – Goderich – County of Huron – Ontario. PARENTS: Mr. Reuben and Ethel Sallows – Goderich – Ontario. Enlistment: September 27, 1943 – London – Ontario. Robert was a heavy smoker who did not like sports but enjoyed playing pool, reading, painting and drawing. Prior to his enlistment he worked in a butcher shop / slaughterhouse and was a deckhand / cook’s helper on the lakers. On October 26, 1943 - this soldier was confined to his barracks for 10 days and forfeits one day of pay. Private Sallows is Absent without Leave on November 15th and is confined to the base for 4 days. On December 4th - Private Sallows transfers to A29 Canadian Infantry Training Centre based at Ipperwash – Ontario and posted to No. 1 Company. Private Sallows donated blood on February 10, 1944. He is transferred to the Nanaimo Military Camp – British Columbia on March 14, 1944. It is here he will receive his small arms training. He receives his embarkation leave and this is from June 19 – July 8, 1944. During his time with his family in Goderich he told them he would not be coming home. Following his time with his family he is sent on August 5, 1944 to #2 Transit Camp based at Debert – Nova Scotia in preparation for going overseas. Private Sallows is transferred to the 2nd Infantry Battalion at Debert. Private Sallows departs Canada from Halifax Harbour on October 12, 1944 and arrived in the United Kingdom on October 21, 1944. During the day of November 10, 1944 Private Sallows departs the United Kingdom and arrives on the continent on November 11, 1944. Private Sallows on November 17, 1944 is Taken on Strength with the Essex Scottish Regiment and the following day he joins them in the field. 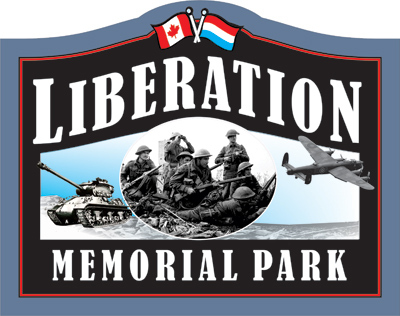 The First Canadian Army had entered the Nijmegen Salient by November 1944. There were no major pushed for the Canadians between November 1944 and January 1945. Christmas of 1944 was spent east of Groesbeek listening to German broadcasts of Christmas Carols. The Regiment then went into reserve near Boxtel. 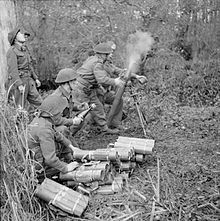 Then the Regiment went back to Groesbeek and the continuation of patrols that probed the enemy defences. Plans were being finalized to breach three successive enemy defensive lines which were the outpost screen, then a heavily defended portion of the Siegfried Line running through the Hochwald Forest and lastly the Hochwald Layback covering the approached of final objective of Xanten. b) The Goch – Colcar Road from February 19 – 21, c) The Hochwald from February 24 – March 4. The first phase toward conquering the last natural obstacle into Germany was the Rhine and this began on February 8, 1945 and following one of the largest artillery barrages on the Western Front. The enemy was prepared and to add to the difficulties for the Canadians had to deal with constant rain and cold weather which obscured the battlefield. By the end of February 8th all the objectives of the 2nd Division had been met. They had captured the fortified towns of Wyler and Den Heuvel. Then on February 11th the Division moved southeast to assist the British at Moyland Wood. Phase two was for the 2nd / 3rd Divisions to take the Hochwald Forest and following the the 4th Armoured Division would sweep through the Hochwald Gap toward Wesel. Then the 2nd Division would “leap frog” on to Xanten. Operation Blockbuster was delayed 6 days because of heavy enemy resistance and it was not until March 3rd until the forest had been cleared. The final phase was the capture of Xanten itself which took place between March 8 – 10, 1945 This was to be accomplished by the 2nd Infantry Division and the 2nd Canadian Armoured Brigade. March 8, 1945 was the final step in bringing the Canadians to the Rhine River in preparation for the final assault on the 3rd German Reich. The meticulous planning for the capture of Xanten was put into motion of March 8, 1945 and commenced when the enemy withdrew to hastily constructed defensive positions known as the Wesel Pocket. Montgomery wanted to trap the enemy on the west bank of the Rhine and also wanted the US forces to turn north along the Rhine and capture the Wesel bridges. Montgomery gave the order to proceed and felt advances from the north were needed to assist the Americans. The Canadians would no have to make three separate assaults. 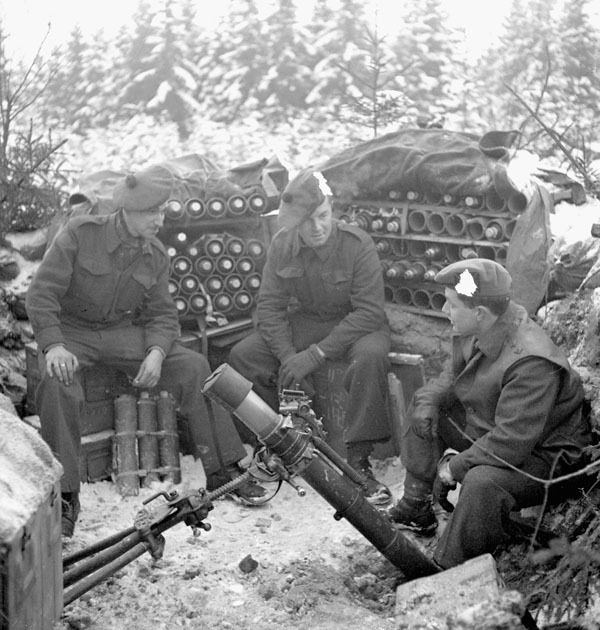 The 2nd Canadian Division was bogged down in the northern part of the Hochwald and they were taking 100 casualties per day from the enemy shells exploding in the forest. The Divisional Brigades had artillery support, armoured support and two squadrons of Crocodile flame-throwing tanks. Smoke was used to mask the advance and aircraft began bombing assigned targets and radar was moved forward to direct fire on enemy positions. With all of these preparations the battle began to become a slugging match. The enemy denied observation, saturated the approached to Xanten with artillery fire. The Fourth Brigade was to attack to the west side of Xanten. The Essex Scottish advanced at 6:45 am in the rain on March 8, 1945 and had close support from the Sherbrooke Fusiliers and the Crocodiles. The enemy artillery just blasted away at an ever increasing rate. They were on the south side of the Calcar Road and starting from a road 2,000 yards west of the road from Sonsbeck. The Essex were on the left and advanced steadily and were able to reach Xanten at noon, having paused to clear the enemy from the farms on the edges of the town. At noon the Royal Regiment of Canada passed through the Essex. Fighting in the town was mostly over by late afternoon. 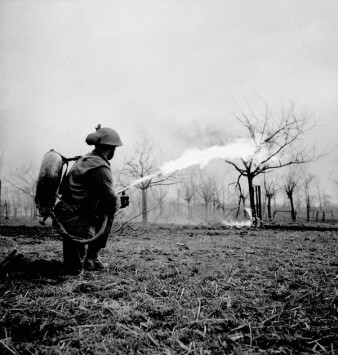 5:30 am – the artillery barrage began to fall onto the German positions. 6:45 am – “A & D” Companies began their advance. 7:00 am – “D” Company held up at the “A” Company position due to a heavily fortified chateau the enemy was using. “D” Company continued with their advance. 7:00 am – “A” Company was having difficulty and were still west of the main road from Sonsbeck. They had made repeated assaults onto the chateau and had been repulsed each time. Their casualties were very heavy. The crocodiles arrived in support and very soon the enemy had been flushed from the chateau. 7:00 am – the Essex were beginning to clear out farmhouses between the railway lines. 7;18 am – “C” Company began to pass through “B” Company and now the Essex had “D”, “B” and “C” Companies on their objectives. Noon – “A” finally arrived in Xanten at mid day. The whole Regiment was in the town by noon. During this day of battle the Essex were under constant enemy artillery mortar and machine gun fire. They were also being bombarded by very heavy enemy artillery from across the Rhine River. The Essex Scottish casualties for March 8 were 119 casualties. The Essex Scottish had suffered 550 war dead and suffered the highest number of casualties of any Canadian unit during World War II. Private Sallows was originally buried at Xanten German Cemetery – Grave 8 / Row 4 / Plot 1 with military honours and Christian rites. Mrs Sallows received a letter dated June 24, 1947 with a photograph of where Robert was reburied at Groesbeek Canadian Military Cemetery. 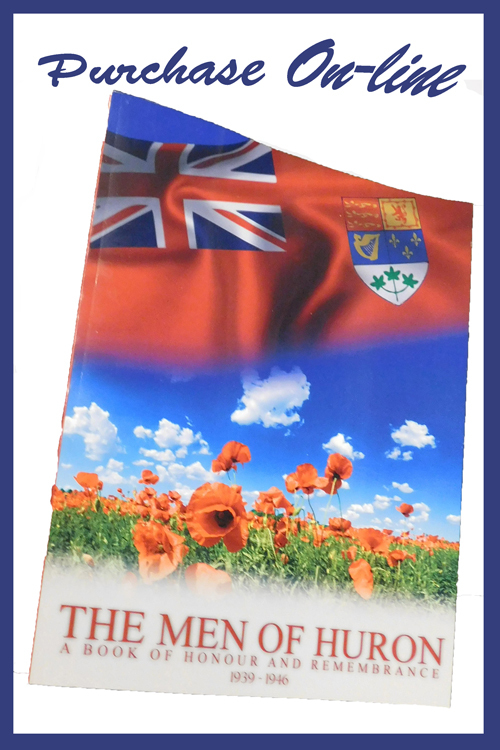 Mrs. Sallows received from the Government of Canada monies owing to Robert in the amounts of $176.07 which was the War Service Gratuity and $205.63 which was the last pay owed to Robert.